The highlight of the day at my prep school was always tea time. There would be an array of delicacies named ‘sticky willies’ (long buns covered in icing) or ‘sticky boobies’ (circular iced buns with a cherry in the middle). I remember distinctly shouting down the corridor to one of my friends ‘YES!!! IT’S WILLIES FOR TEA! !’ By now I’m sure they’ve enforced some law against the ‘Objectification of Food in a Sexual Manner,’ but at the time we were quite oblivious and embraced all forms of terminology in a rather naive fashion. 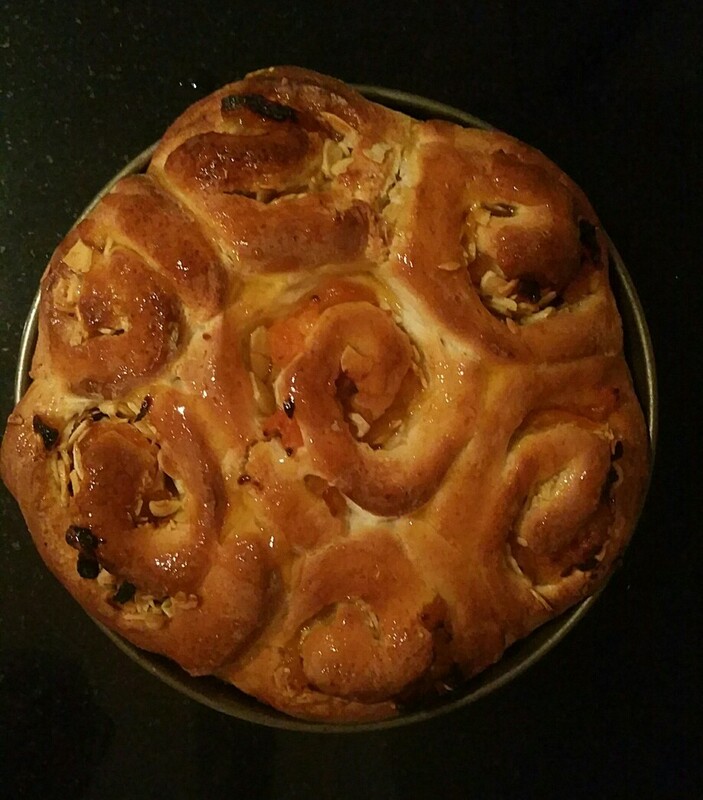 Last weekend I decided to embrace my (former) youth and make my favourite tea time treat, the ‘Chelsea Bun.’ I’m not sure why they are called Chelsea Buns and so in honour of my younger days I’ve given them a nickname of ‘The Putney Bun,’ the only reason being that I live in Putney and, sadly, not in Chelsea. They are really fun to make and look quite glorious when they come out of the oven. So give it a go, and bring back the joys of teatime. Put the flour, yeast, caster sugar and 1 tsp salt into a large mixing bowl and mix well. 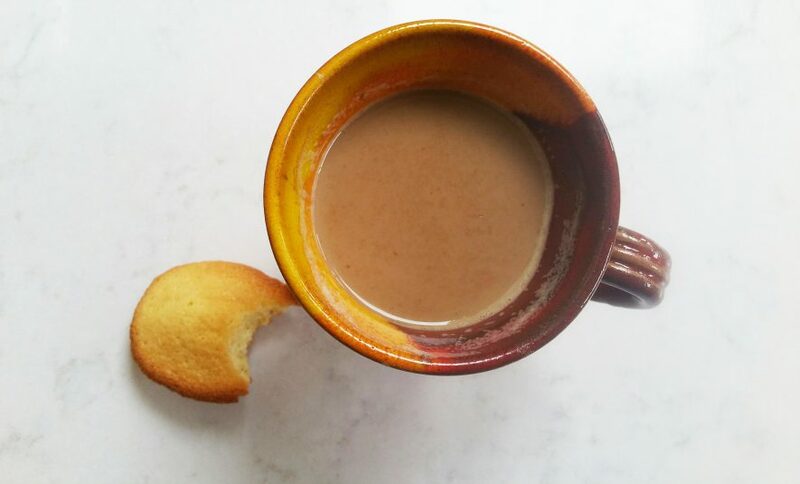 Make a well in the centre and pour in the warm milk, 50ml warm water, the beaten egg and the melted butter. 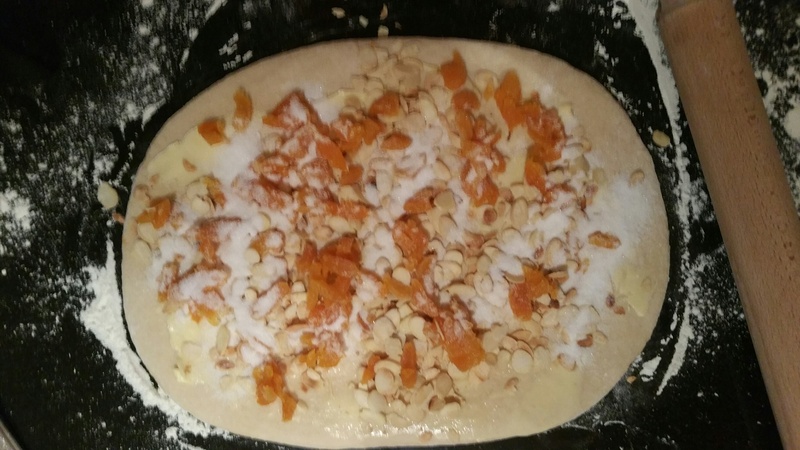 Mix everything together to form a dough – start with a wooden spoon and finish with your hands. If the dough is too dry, add a little more warm water; if it’s too wet, add more flour. 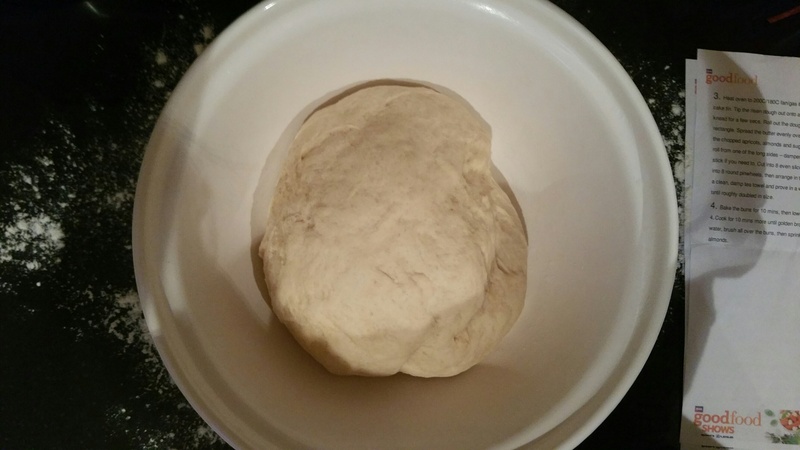 Knead in the bowl or on a floured surface until the dough becomes smooth and springy. Transfer to a clean, lightly greased bowl and cover loosely with a clean, damp tea towel. Leave in a warm place to rise until roughly doubled in size – this will take about 1 hr depending on how warm the room is. Straight out of the oven – tea is served! 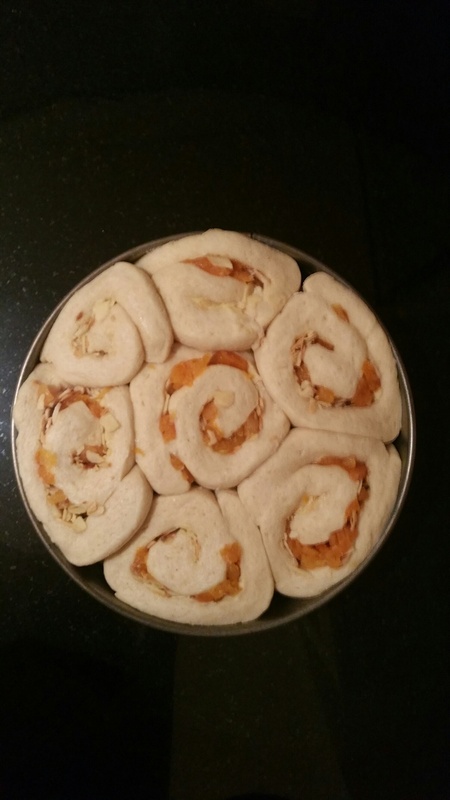 round pinwheels, then arrange in the tin, cut-side up. Cover with a clean, damp tea towel and prove in a warm place for about 20 mins until roughly doubled in size. Bake the buns for 10 mins, then lower oven to 180C/160C fan/gas 4. Cook for 10 mins more until golden brown. Melt the jam with 1 tbsp water, brush all over the buns, then sprinkle with a few more flaked almonds (I ran out of almonds for the topping but it didn’t matter!). 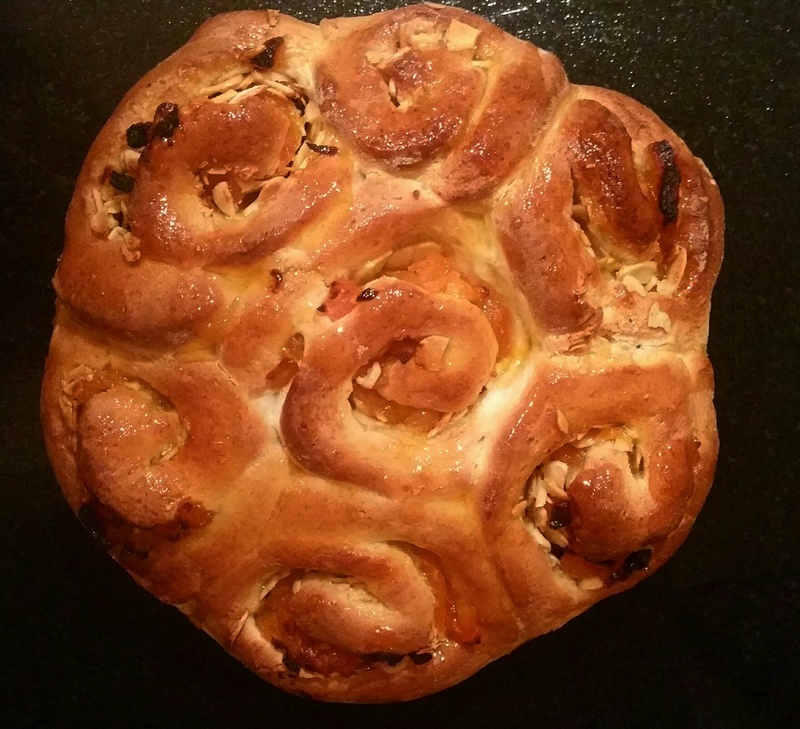 Directions for use: Try and come up with a ‘Putney Bun’ innuendo whilst waiting for the dough to rise….. ‘Grab a load of me buns’ was one poor attempt. I’d love to grab a load of these buns! 😉 they look so scrumptious!! Thanks Beth. Definitely worth giving a go, as they taste as good as they look!